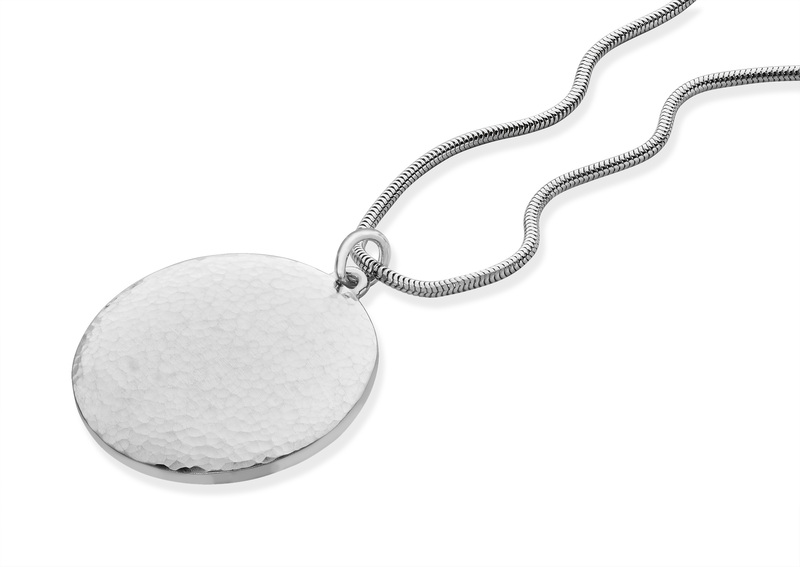 Extra large round silver pendant with hammered texture. handmade by Saunders & Pughe. Approximate diameter 4cm.